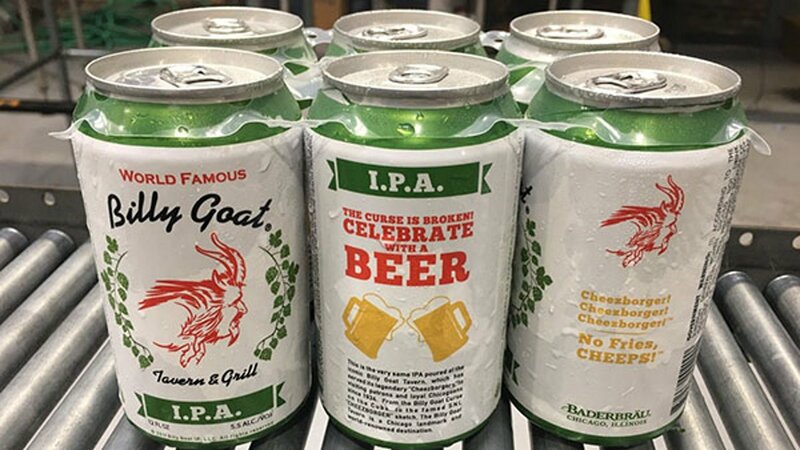 CHICAGO (WLS) -- Billy Goat Tavern announced Thursday that its IPA, created with Baderbrau brewery, is now available at select Jewel Osco stores in the Chicago area. The new brew, available in canned six packs, was announced on the famous tavern's Twitter. The can boasts that the brew is "the very same IPA poured at the iconic Billy Goat Tavern, which has served its legendary 'Cheezborgers' to visiting patrons and loyal Chicagoans since 1934."